What guarantees does Celtic Tuning give? A lifetime guarantee for your Celtic Tuning software. * Fitting fee may apply at certain locations. Your statutory rights are not affected. 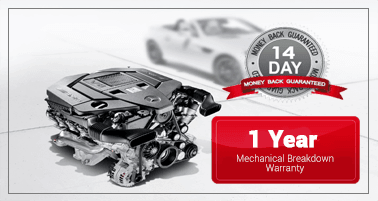 At the software installation date, a current original Warranty provided by the manufacturer of the motor vehicle is required for this guarantee to be operative, and it is a Condition that such Warranty remains in force until its normal expiry date. This Warranty applies only in the event and to the extent that the Manufacturer's Warranty does not respond. The Celtic Tuning Warranty applies (subject to the Terms & Conditions, available on request) to damage directly caused to the relevant Motor Vehicle arising directly from Mechanical Breakdown by reason of failure of the Celtic Tuning product installed by a Celtic Tuning Authorised Installer (or by the Customer using a eMotion device) during the period of this Warranty. Being the sudden and unforeseen failure of a component of the Motor Vehicle directly attributable to the operating of the Celtic Tuning product, the subject of this Warranty, which has caused the Motor Vehicle to stop working and therefore requiring repair or replacement before normal operation can be resumed. the period remaining on the original warranty provided by the Manufacturer of the Motor Vehicle at the time of purchase from new; whichever is the shortest.but subject to a maximum of 60,000 miles or 36 months. You should be aware that failure by you, the Customer, to observe the Manufacturer's recommended maintenance procedures will invalidate any claim made. No sum in respect of economic or consequential loss is payable. Use excludes competitions, track days, pacemaking or rallying, and claims are subject to a limit of £10,000.00 in the aggregate in respect of any one vehicle. Normal deterioration or claims as a result of wear and tear are not covered. Celtic Tuning cannot be held responsible for modifications to the vehicle which lead to defects.